With many countries struggling to cut their carbon, new data suggests that major cities are making substantial strides to stem their emissions. Twenty-seven cities, including Warsaw, Barcelona and Sydney, saw CO2 peak in 2012 and then go into decline. As well as moving to green energy, the cities have provided affordable alternatives to private cars. Emissions declined by 2% every year on average, while their economies expanded by 3% annually. The C40 Cities group is an umbrella organisation that co-ordinates the climate change activities of 96 major urban centres around the world. Back in 2015, their research showed that if the planet was to keep to the lower, 1.5-degree-Celsius target agreed in the Paris climate pact, then major cities would have to peak their emissions of CO2 by 2020 at the latest. This new analysis by the group shows that 27 of these cities saw their emissions peak by 2012 and then fall over a five-year period. Those emissions are now at least 10% lower than at their zenith. The 27 who peaked and cut their carbon are: Barcelona, Basel, Berlin, Boston, Chicago, Copenhagen, Heidelberg, London, Los Angeles, Madrid, Melbourne, Milan, Montréal, New Orleans, New York City, Oslo, Paris, Philadelphia, Portland, Rome, San Francisco, Stockholm, Sydney, Toronto, Vancouver, Warsaw, Washington DC. According to C40, the cities have cut carbon while their economies and populations have grown. The key steps taken include decarbonising the electricity systems, optimising energy use in buildings, providing cleaner and affordable alternatives to cars, and cutting waste while increasing recycling. "This is the result of no revolution, but of a steady evolution in the life of our city, namely in the way we move around and in the way we reduce, recycle and reuse waste," said Giuseppe Sala, Mayor of Milan. "We see a continuous advancement, that spans over more than 20 years and progressively led to 1 in every 7 citizens using shared cars or bikes and to 60% of quality separate waste collection. Such significant results could not have been achieved without the engagement and commitment of the citizens of Milan." Similarly in Sydney, greenhouse gas emissions peaked in 2007 and have declined every year since, despite the economy growing by 37%. "We have one of the largest rooftop solar programmes in Australia. We converted our streetlights to LED and we're working with industry leaders to reduce their emissions," Sydney Lord Mayor, Clover Moore, explained. "As the first government in Australia to be certified carbon neutral, our achievements show the impact that can be had at a city level despite shocking inaction from state and national governments." The details of how the cities have progressed while countries have stalled were unveiled at the Global Climate Action Summit in San Francisco. 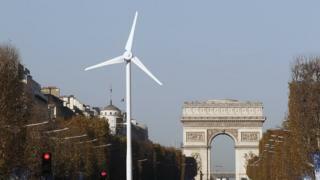 "It is an incredible achievement for these 27 cities, including Paris, to have peaked their emissions," said Mayor of Paris and chair of C40, Anne Hidalgo. "The commitment of so many of my fellow mayors to deliver on the highest ambition of the Paris agreement, and the dedication I have witnessed from so many cities, businesses and citizens here at the Global Climate Action summit, means many more cities will achieve this key milestone before 2020."